Our specialty is sewing furniture. Specifically, sewing furniture that offers optimal storage for sewing, created just for you. Every sewing and crafts enthusiast is different. So, we offer four sewing cabinets along with extras such as storage inserts for accessories and notions, height adjustments and left or right configuration to enhance your unique hobby experience. Some of our sewing cabinets fold down for easier storage—perfect for tight spaces. 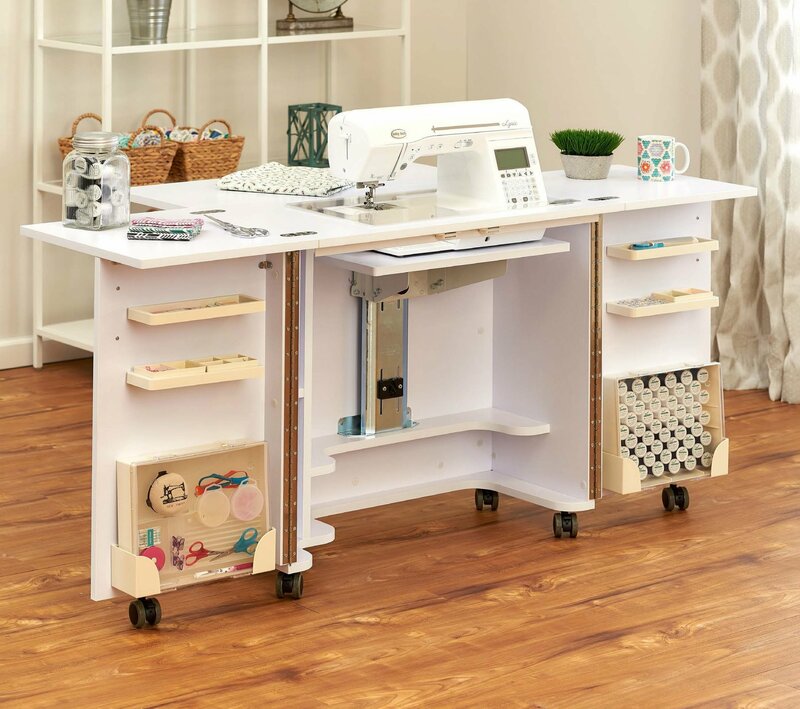 Plus, this modern furniture can be built upon and configured to create a sewing space that’s thoroughly you!